First and foremost welcome to The Everest, Nepalese and Indian restaurant based at 52 Home Street, Edinburgh. Mount Everest is the highest peak of the world (8850m) and first climbed by Sherpa Tenzing Norgay and Sir Edmond Hillary in 1952. Nepal is situated in the mountainous region between the two large countries of China and India. The cultural diversity of Nepal has provided an example space for the growth of a number of varied cuisines based on the ethnic groups and the geographical features of the nation. Dishes such as Haku Choyla, Lamb/Chicken Choyla/Sekuwa, Aachari and Khasi ko Karan reflect the Newari culture of Nepal, whereas Momo, Himalaya & Everest chicken reflects the culture of the northern region of Nepal. Dall, Bhat, Tarkari & Achar are eaten on a daily basis in every household in the whole of Nepal. In this restaurant, we aim to provide the finest authentic Nepalese and Indian dishes with the capable chef who has trained in prize-winning Nepalese restaurant. Using carefully selected Nepalese herbs and spices, and the best local Scottish produce, particularly meats, we aim to create a truly excellent dining experience, based on home-style cooking where possible. Our curry dishes range from very hot to mild to suit all tastes, using aromatic rather than spicy ingredients with the best Himalaya wine which is particularly produce for spicy food. If you need any help choosing from our extensive menu, Please ask our experienced waiting staff who will be happy to assist you. We hope you will find your visit to The Everest Nepalese and Indian Restaurant a truly unique experience. 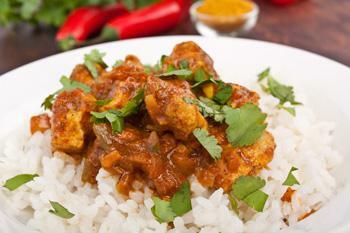 Here at The Everest an Indian & Nepalese Restaurant & Takeaway in Edinburgh, we have a wide range of menu options. 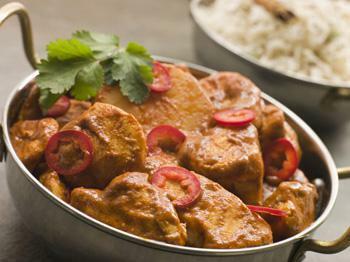 Serving delicious Indian & Nepalese food, we are sure we have something for you to enjoy.